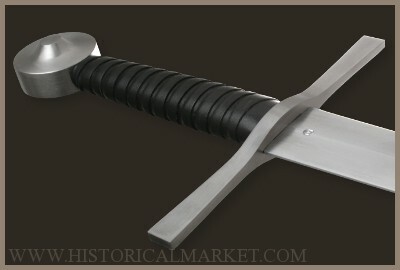 One hand sword with typical shape of cross and pommel. Forged blade, no sharp edges and full battle ready sword. Originally used by roman's legionaries from 100 B.C. 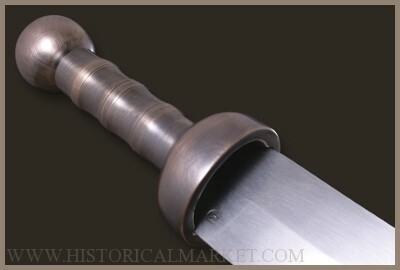 to 300 A.D. Full battle ready blade, Mainz type gladius. 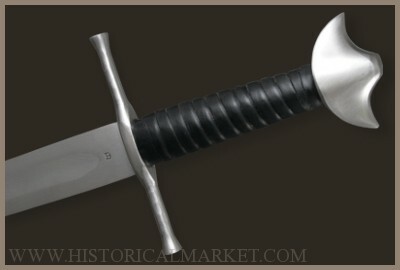 Medieval sword of Battle of Grunwald A.D.1410. 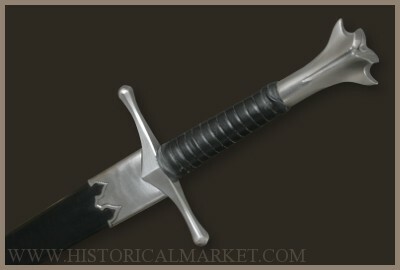 One hand sword with hammered and tempered blade. 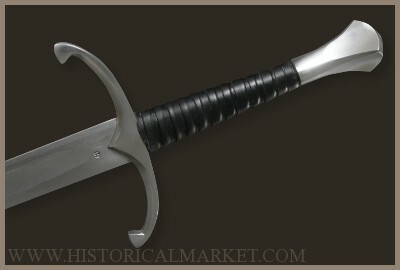 This is a very good fighting sword, well balanced and weighted. 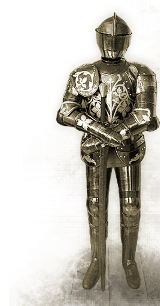 Based more on combat experience than the guidance of history, although the cross and pommel are 'medieval'. One hand sword with full battle ready blade. Originally used by roman's legionaries from 300 B.C. 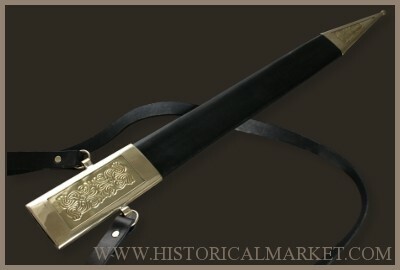 to 300 A.D. Cross, pommel and grip are brass-made. Forged blade, no sharp edges and full battle ready sword. 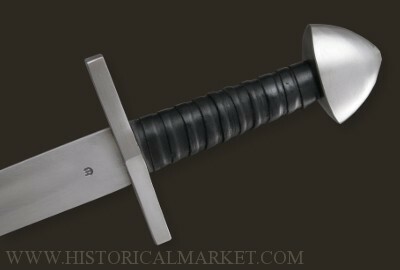 One hand sword, typical for early medieval times X-XI c. Blade made of steel with one fuller, no sharp edges, full battle ready. One hand sword dated approximately 1250 A.D. (type Xa or XI by Oakeshott). 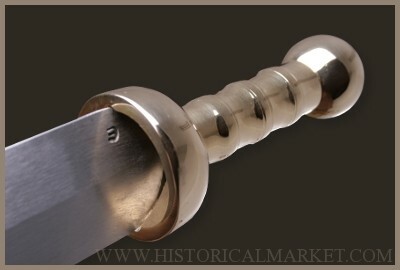 Pommel type D and cross type 1a (Oakeshott) are steel made. Full battle ready, no sharp edges. 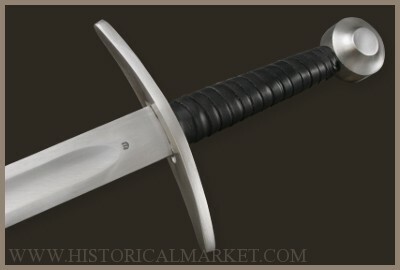 Medieval XV c. one hand sword with typical cross and pommel. 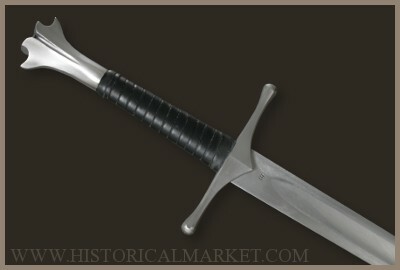 A sword like this was found in the field of Battle of Castillon (1453), France. 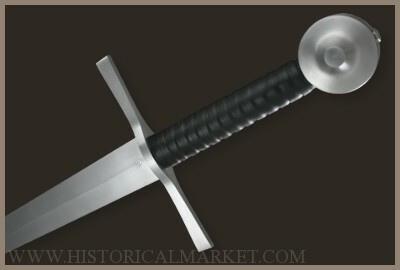 This type of swords were very popular in the times of late medieval.